Here is Warner Ranch Affordability!! Check out this lovely UDC property on a shaded over-sized lot. Upgrades, include vaulted ceilings, a newer A/C & return air, new laminate wood flooring t/o, wood blinds t/o, Dishwasher-2yrs old, Refrigerator-1 year old, newer energy efficient, self cleaning water heater, newly painted exterior, new garage door (panels and opener), a Den with a Murphy bed included, lovely eat in kitchen and an entertainer's patio. Plus all the amenities of Warner Ranch. 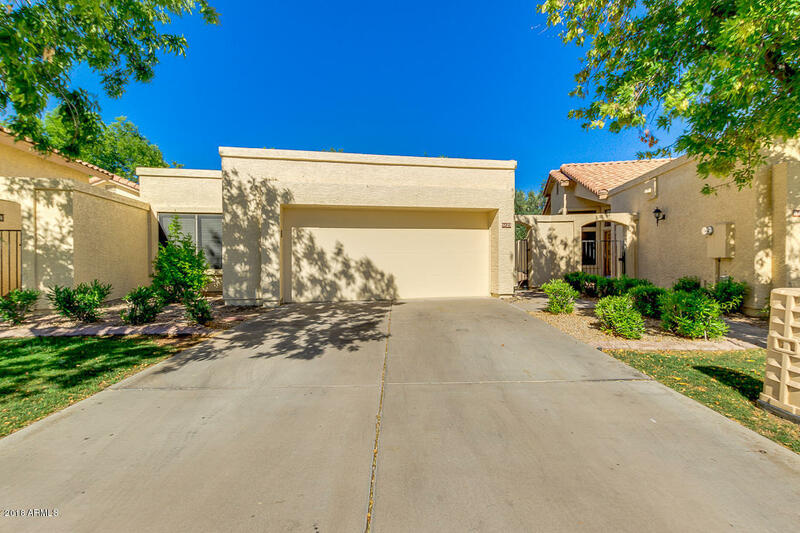 Close to everything, shops, schools, parks and an easy commute to Sky Harbor and into Phoenix. Perfect for seasonal, college or full-time occupancy. So come check out one of the best values in Warner Ranch while its still available.